March 2 is the birthday of Theodor Seuss Geisel aka Dr. Seuss. Geisel published over 40 children’s books full of rhyme and imaginative characters. 200 million+ copies of his books have been sold. In his honor, March 2 has been named National Read Across America Day, an initiative created by the National Education Association. This year, Read Across America Day will be celebrated in schools on March 3. 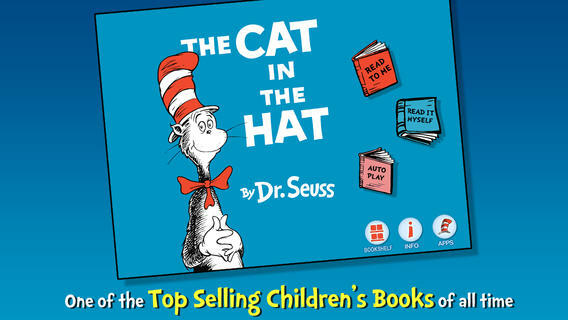 Just in time for the celebration of Dr. Seuss’s birthday/Read Across America Day, his books (apps) are on sale. Most of them are $1.00 off but several of them are $.99. Here are links to 8 titles that are being offered for only $.99 each.